Mettler shortwave diathermy (SWD) produces comforting deep heat in muscle tissues. Shortwave diathermy is used when the clinician needs to provide deep heat to a larger area than normally covered by ultrasound. 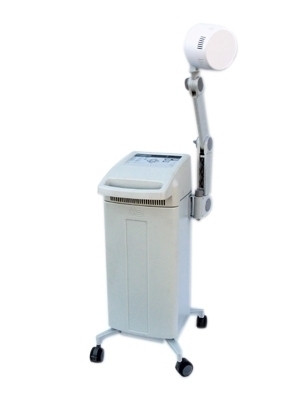 Auto*Therm 390 is a pulsed and continuous shortwave diathermy. Weighing only fifteen pounds, this unit can be easily carried between treatment rooms or to the patient. The basic unit comes with 2 (12 x 18 cm) soft-rubber plate capacitive applicators with flexible cables, 6 felt spacers, 2 cloth covers, 2 elastic straps, power cord and instructions. Dimensions: 7" x 17" x 14"